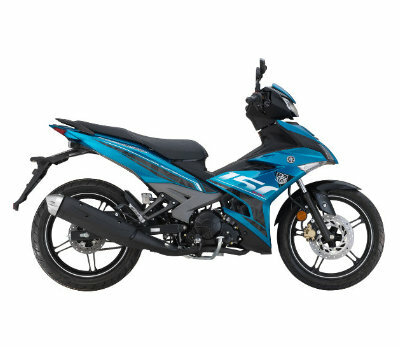 Yamaha Y15ZR (2019) is a sport moped bike with 1 Cylinder, 4 Valve, DOHC, 150CC engine, and 5-Speed Transmission. The bike produce 36 hp of power at 12,000 RPM and 22.6 Nm of torque at 10,000 RPM. 2019 Yamaha Y15ZR brings sporty design with LED headlight and full LCD instrument panel to display speedometer, gear indicator, fuel level and millage. It packed with brake disc on both wheel and 17-inch, 5-Spoke black rim for the Blazing Red, Striking Cyan and Storm Blue color model. While for Dynamic Grey color get yellow rim. Yamaha Y15ZR (2019) price in Malaysia expected starts from RM8,400. For now there is no official pricing yet.